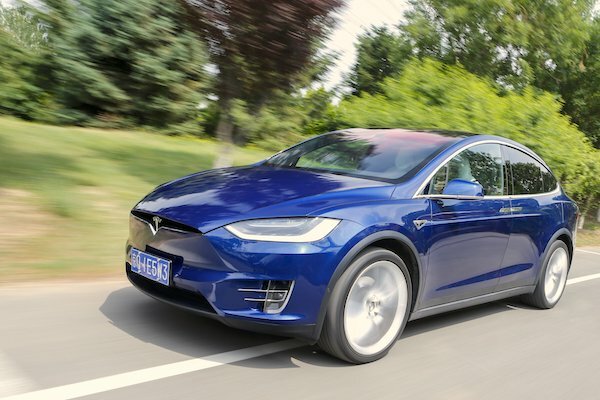 The Tesla Model X is the 5th best-selling import in China in June. All-brands and All-models 2017 monthly data available, contact us here for more details. Complete Chinese imports data is now available for June, BSCB being the first media outside of China to report on these figures monthly. New car imports into China have been the subject of much attention lately, with the Chinese government lowering the import tariff from 25% to 15% as promised on July 1, however as retaliation for Trump’s own import tariffs on Chinese products including cars, raised the tariff for U.S. new car imports not back to 25% as we predicted last month, but up to 40% on July 7, virtually signing the death warrant of U.S. imports altogether. June figures remain unaffected by these changes (except for Tesla as we’ll see further down), but it will be fascinating to watch the evolution of the China imports sales charts as a large part of the most popular models in the country are manufactured in the U.S. 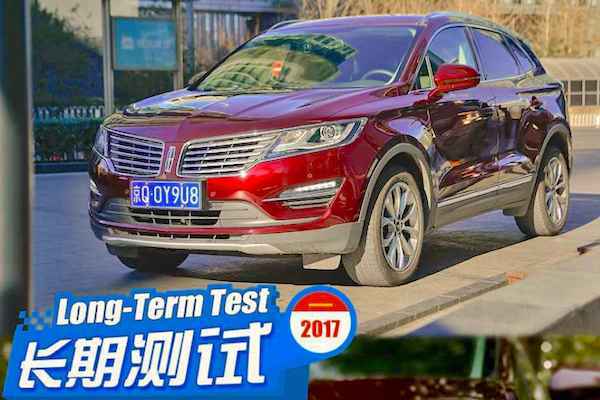 The MKC (+18%) helps Lincoln to #4 imported brand in China in June. In June, 82.602 new imported light vehicles found a buyer in China, a 11% year-on-year drop contrasting with YTD volumes up 4% to 536.114. Mercedes (+15%) goes against the grain to remain in the brands lead ahead of archenemy BMW (-15%) evolving in the opposite direction. Keep in mind BMW was the first importer ahead of Mercedes in 2017. Lexus (-12%) follows the market to remain in third place while Lincoln (+19%) posts an interesting surge, perhaps loading up on dealer sales in anticipation for a grey U.S. tariff future. The Tesla case is even more interesting: the U.S. firm pre-empted the lowering of import tariffs in July to 15% by cutting prices on its lineup as early as June, this in order to give a boost to its Q2 result as it does at every end of period. While these manipulations didn’t prevent the company from posting another steep loss in Q2, Tesla China sales are up 53% year-on-year in June to soar to 7th place vs. #16 so far in 2018 and #20 in 2017. July sales will be a different story altogether, as its models are now taxed at 40% and the prospect of local production is still years away. Mitsubishi (+48%) and Volvo (+31%) also shine this month. 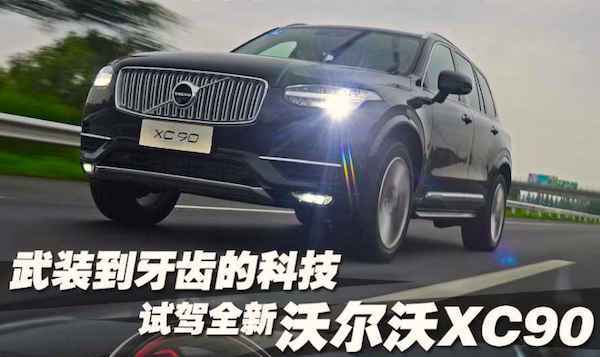 The Volvo XC90 is up 94% to #11. The imported models ranking is very stable in June, with the Top 4 reproducing the YTD order: the Lexus ES (+6%) is the best-seller followed by the BMW X5 (+2%), Mercedes CLA (+62%) and Mercedes GLE (+11%). The Tesla Model X benefits from lower prices to soar 76% to #5 with over 2.400 sales for the month, a new record for the nameplate. Looking at this Top 5, the Lexus ES has a production base in Japan, the CLA is assembled in Hungary but the GLE, X5 and Model X are all manufactured in the U.S. (although there are two small production bases available in Thailand and Indonesia for the GLE) and are now being slapped with a deadly 40% tariff, so let’s see how they fare in July. The Lincoln MKC (+18%) brilliantly breaks into the Top 10 at #9 vs. #18 so far this year, while the Volvo XC90 (+94%) almost doubles its sales vs. June 2017 to end the month at the Top 10’s door. The Lincoln MKZ (+31%), Continental (+128%), Audi A5 (+171%) and BMW 5 Series (+646%) also impress while the Range Rover Velar (#36) remains the most popular recent launch (<12 months) ahead of the BMW 6 Series GT (#51), Mercedes AMG GLC (#61) and Mazda CX-3 (#83). Full June 2018 Top 50 All imported brands and Top 240 models below.